Virginia Governor Ralph Northam today announced the launch of the Virginia Emergency Department Care Coordination Program. The single, statewide network connects all hospital emergency departments in the commonwealth, enabling real-time communication and collaboration among healthcare providers, health plans, and clinical and care management personnel for patients receiving services in emergency departments. Virginia is the first state in the nation to connect all of its emergency departments in this way, according to the governor. The program also integrates the state's prescription drug monitoring program and its advance healthcare directive registry. 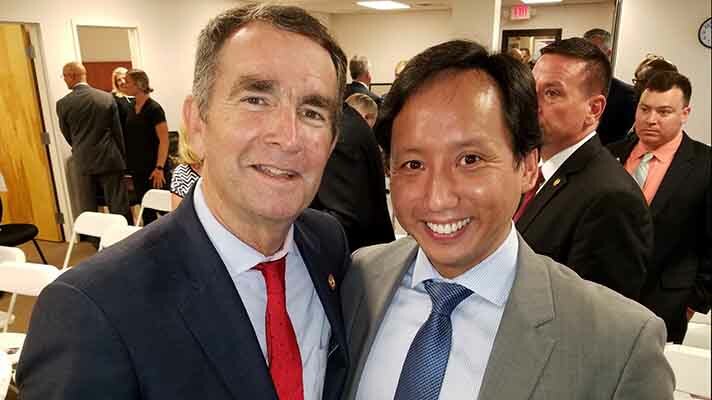 "The Emergency Department Care Coordination Program is an important step forward in making sure all people in Virginia receive the best care possible," Governor Northam said. "Secure technology to access a patient's critical medical information can provide physicians with vital information to increase effective and efficient care, avoid duplicative tests, and save valuable time." Near real-time, up-to-date information in an emergency department can assist healthcare providers in so many ways, from treating patients with chronic disease to knowing what medications to avoid prescribing to a patient with allergies, added Virginia Secretary of Health and Human Resources Daniel Carey, MD. "When you have the right care and the right information in the right setting, you are able to make the best decision for the individual patient," Carey said. Bruce Lo, MD, medical director of the department of emergency medicine at Sentara Norfolk General Hospital, president of the Virginia College of Emergency Physicians, and professor and assistant program director at Eastern Virginia Medical School, explained the challenge and the solution. Lo has been live on the new system for a month. "While it was possible to look up previous emergency department visits within a physician's own health system, it was very difficult to know when a patient visited another emergency department outside of the health system or in another part of the state," Lo explained. "Collective Medical Technologies' EDie platform now allows for a visual cue already on our EHR dashboard to see if the patient is flagged as a 'high utilizer' – with no extra clicks needed." Before, unless the patient divulged having been to another emergency department outside the health system, physicians didn't have that information readily available, he added. A physician clicks the EDie icon on their EHR dashboard and a summary report displays a patient's previous emergency department visits and admissions and the patient's diagnosis and care coordination plan for care after the emergency visit. Within a special EHR link, the physician can access information about certain emergency department visits across Virginia that use the same EHR. "I had a middle-aged patient present with abdominal pain, representing a 'Crohn's flare,' what he described as severe," Lo recalled. "He did not come forward with information that he had 10 other emergency department visits from other health systems within the past several months prior to coming to my emergency department; he had only one visit within my health system during the past several months." On review of outside records, Lo found that the patient had four CT scans done of the abdomen within this timeframe for the same complaint, the most recent being several days prior. This made it easy to forgo a CT scan during this visit when this information was available – and Lo reiterated the plan that was given to him for his follow-up visit, which had already been arranged. "And best of all, no narcotic prescriptions were given," he added. In 2017, the Virginia General Assembly established the Emergency Department Care Coordination Program within the Virginia Department of Health. This effort has involved extensive collaboration between health systems, health plans, physicians, the health department, the Department of Medical Assistance Services, and the Department of Health Professions, Carey said. The program is directed by the health department, which contracts with ConnectVirginia to operate the Emergency Department Care Coordination Program. Collective Medical Technologies is the technology vendor. Next steps include the participation of the State Employee Health Plan and all non-ERISA commercial and Medicare health plans operating in the Commonwealth by June 30, 2019. Additionally, the Emergency Department Care Coordination Program will expand to include other downstream providers, including primary care physicians, case managers, nursing homes, CSBs, private behavioral health providers and Federally Qualified Health Centers, who will have the ability to use the technology to receive alerts and contribute to patients' care guidelines.